Our office is on Kärntner Straße directly opposite the Maltese Church. Enter the building at Kärntner Straße 28 next to the shop H&M. Go up the stairs and take the elevator to the 3rd floor. 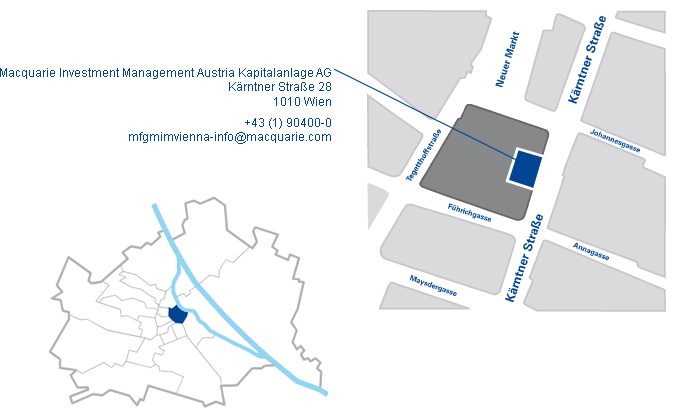 You can reach us by public transport via underground line U3 or U1 (station "Stephansplatz"). Kärntner Straße is a pedestrian zone. Therefore direct access by car is not possible. You can park at Operngarage next to the Vienna State Opera. From there it's a two minutes walk to our office.